The town of Big Piney is the oldest permanent settlement of Sublette County, settled by Daniel Budd and his partner Hugh McKay. The two were actually supposed to join Green River with their thousand head of cattle in 1879. However, a Wyoming winter would force them to stop and wait for the season to end at South Piney Creek. Yet, when spring came their cattle began to thrive on the grasslands by the North, Middle, and South Piney Creeks so they decided to settle in what is now Big Piney. Daniel Budd and other local ranchers put the Piney Creeks on the map as more people started to settle there. Budd took it upon himself to establish the first post office of Big Piney in his home. Later, Budd would build a general merchandise store where he then moved the post office. He was appointed the first Postmaster of the town in 1886. The first schoolhouse of the town was a small log building built in 1887 (now a part of the Green River Valley Museum). As the population began to grow, the community gathered funds for a new, more modern school, which would later be built in 1902. With a schoolhouse, post office, telephone office, store, bank, and a bar, Big Piney was officially incorporated as a town in summer of 1910. Economically, Big Piney and its sister town Marbleton (settled by Daniel Budd’s oldest son, Charles in 1913) mainly relied on ranching in the early days. 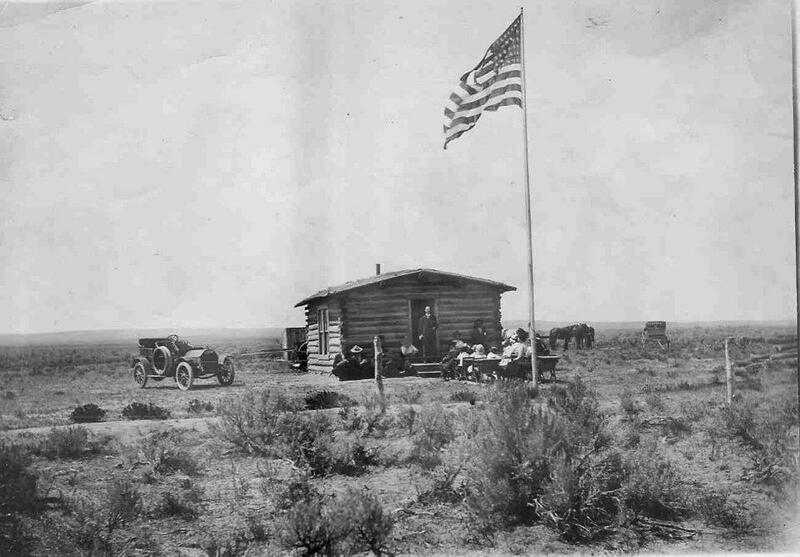 In the 1910s, oil drilling was introduced to the area – with little luck, however. Yet in the ‘20s, as drillers persisted and their technology improved, the area saw a huge economic boom following the discovery of vast oil reserves. Since the ‘20s, the area has relied heavily on the extraction of natural resources for revenue. Learn more about Big Piney and Marbleton families, graves, veterans, schools, classes, and more photos by going to this link!